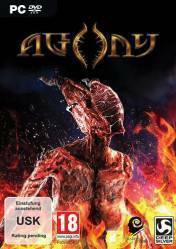 Agony is a game of terror and survival horror in which we will travel to the depths of hell. It all begins when our soul travels to the depths of hell with no memory of what we were in life. But everything seems to indicate that we weren't normal. Now, we have the power to control people and even possess simple-minded demons, abilities that we will use to survive in the extreme conditions that we will find in the depths of the underworld. We will be able to explore the environments of hell and interact with other souls, all with the aim of finding an escape from hell itself. An original game with a very acceptable graphic level and in which we can experience the anguish and agony of walking through the dying places of hell. There are no comments yet about Agony. You can be the first one!